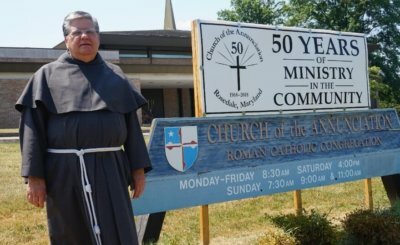 The Annual Appeal for Catholic Ministries, formerly known as the Archbishop’s Annual Appeal, changed its name to better reflect its mission. 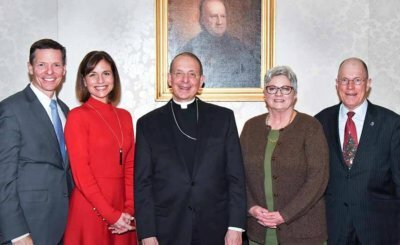 In late November, Archbishop William E. Lori welcomed Ralph and Christine Arnold, and Dave and Kristen Kinkopf to his residence for a thank-you dinner in recognition of their service as 2018 Co-Chairs for the Archbishop’s Annual Appeal. Your support for the 2018 Archbishop's Annual Appeal is making great things possible. Take, for instance, the parishes of St. Joan of Arc and Church of the Annunciation. 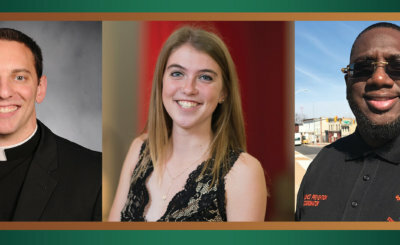 The Catholic Review shares the stories of three people who have benefited from the Archbishop's Annual Appeal.